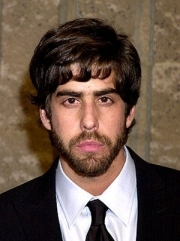 Adam Charles Goldberg is an American actor, director, producer, and musician. Goldberg was born in Santa Monica, California, the son of Donna (née Goebel) and Earl Goldberg, a former lifeguard. His father is Jewish and his mother is a "lapsed" Roman Catholic of Irish, French, and German descent. After seeing a school drama class Shakespeare production, Goldberg became fascinated with show business and began studying acting at various workshops in his early teens. He was active in campus theatrical productions during his years attending Sarah Lawrence College. Goldberg's first major screen role was in the Billy Crystal film Mr. Saturday Night . His career-making role was arguably that of the tough, wise-cracking infantryman Mellish in Steven Spielberg's 1998 film Saving Private Ryan. While having played multiple lead characters, as in the short-lived 2005 Fox series Head Cases and Hebrew Hammer, Goldberg has mostly been cast in strong supporting roles. Notable roles include Jerry, the miserable undead servant to Christopher Walken's Gabriel character in the supernatural thriller The Prophecy and the borderline-psychotic Eddie Menuek on the sitcom Friends. Goldberg has also worked with preeminent voice artists like Dan Castellaneta and Charlie Adler, his vocal performances in Babe: Pig in the City and cartoons like Eek! The Cat. Goldberg often portrays stereotypically Jewish characters . Goldberg appeared extensively in the Flaming Lips documentary The Fearless Freaks, and had a supporting role in Christmas on Mars, a science fiction film written and directed by Lips' frontman Wayne Coyne. In 1999, he appeared in the 'Sixpence None The Richer' music video "There She Goes". Goldberg wrote, produced, directed and edited the features Scotch and Milk and I Love Your Work, as well as multiple television projects, notably including the philosophical travelogue, Running with the Bulls for IFC. A guitarist and songwriter, Goldberg composed and arranged the music to I Love Your Work and Running with the Bulls and provided a song for the Hebrew Hammer soundtrack. He is known to travel with a cheap acoustic guitar, as can be seen in ...Bulls. Goldberg has released rock and jazz albums, including Changes, with Latin jazz percussionist Phil Maturano. He appeared in a three episode arc on Friends season two as Chandler's crazy roommate Eddie. He also appeared some years later in a nine episode arc in season two of the spinoff show Joey as Joey's best friend from high school Jimmy, the father of Michael Tribbiani. He also appeared in the short-lived ensemble cop show The Unusuals, where he plays a detective in New York City with brain cancer, but refuses treatment because of his dislike of doctors. His character is stated as being "sarcastic" and Goldberg has been described as "one of the better reasons to watch". He plays in a group named LANDy. LANDy's debut album, "Eros and Omissions" was released on June 23, 2009. The Flaming Lips' Steven Drozd, with whom Goldberg collaborated on the score for his 2005 film "I Love Your Work," performed on the record. Earlimart's Aaron Espinoza is credited as having done the final mix as well as having engineered many of the more recent songs. On June 7, 2011, Goldberg performed as lead singer with his group The Goldberg Sisters, performing "Shush" on The Late Late Show with Craig Ferguson. Goldberg lives in Los Angeles with his dog, Digger. He has previously been in relationships with actresses Christina Ricci and Julie Delpy. Whole or part of the information contained in this card come from the Wikipedia article "Adam Goldberg", licensed under CC-BY-SA full list of contributors here.